The Harper Table Lamp by Heathfield & Co features a skilfully mould-blown glass base complemented by antique brass detailing. Crafted in the UK, the timeless shape and dappled smoke finish works beautifully in both contemporary and period interior schemes. Position in front of a dark backdrop to let the decorative detailing become a focal point. 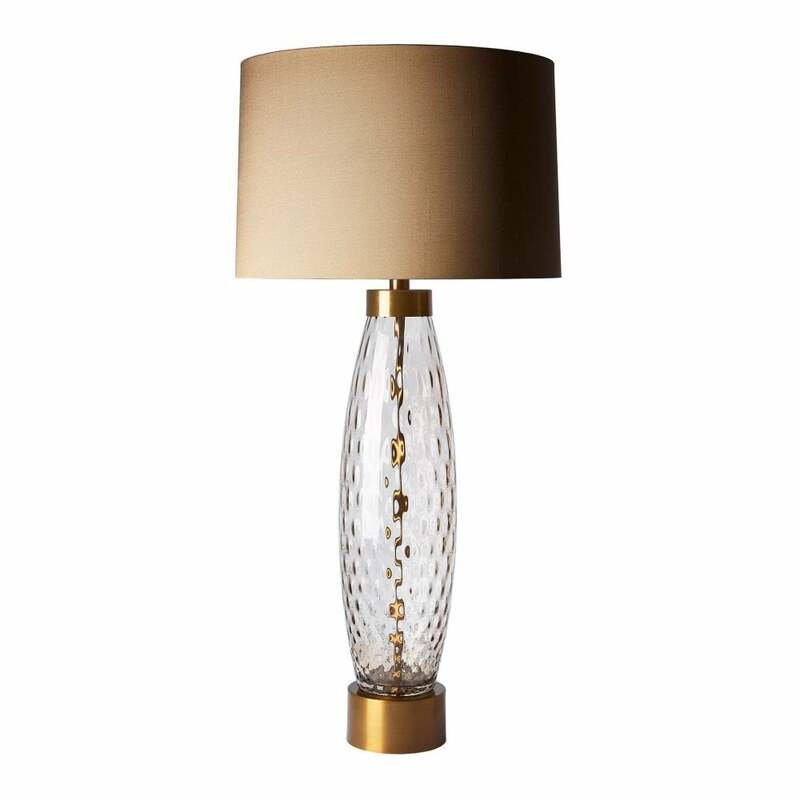 This table lamp will make an elegant addition to a bedroom or living space. Shown here with a fudge silk shade, choose from a wide variety of colour and fabric options to suit your taste. Make an enquiry for more information.